Grooming your dog may seem like a daunting task. The trick is to make sure your dog is comfortable first, and in return they will make it a breeze for you. Read on for the best tips and tricks for every dog type, it’s as easy as 1-2-3! Nail clipping should be done first. Why? 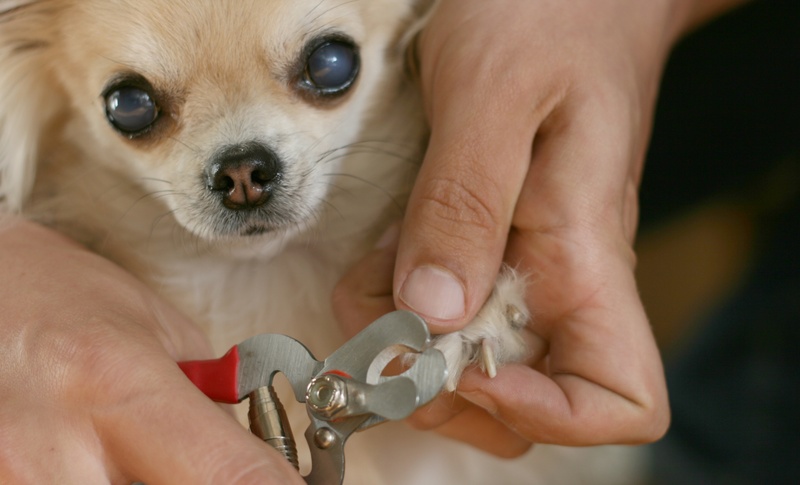 Clipping first will avoid long sharp nails during the rest of the grooming process such as brushing and bathing. Pet owners should get their dogs accustomed to getting their legs and paws touched. The best way to do this is by petting your dog’s legs and touching each one of their toes on a weekly basis. Practice this until your dog gets comfortable having their toes touched, this will make it easier on you and make your dog more trusting. 1. Start by washing their toes to remove any dirt and debris with an oatmeal dog shampoo preferably. 3. Finally, use an emery board to smooth out any rough edges. Incorporating brushing to your pet’s grooming routine will help your dog feel more comfortable. Brushing regularly removes dirt, spreads natural oils through their fur, prevents tangles, and keeps their skin clean and irritant-free. You will need a rubber brush to loosen dead skin, and dirt, followed by a bristle brush to remove dead hair and then finish it off with a chamois cloth which will polish up their fur. 1. Make sure you’re using a mild soap that is safe to use on dogs. 2. Place a rubber mat in the bottom of the tub, to provide secure footing for your pooch, and fill the tub with up to 2-4 inches of lukewarm water. 3. Brush your dog to remove all dead hair and matts.This will also help the soap penetrate through their coat. 4. Add a floating toy if your dog thinks bath time is play time, it should keep them entertained. Next wet your dog making sure not to get water in their ears or eyes. Massage a mild dog shampoo in from head to tail while checking their ears for any foul odors. Finally, dry them off with a towel or a blow dryer, making sure it’s not hot. If your dog has loose facial skin or wrinkles, such as a Shar peis or a Pug, you will need to clean those areas using a damp cloth. This will keep bacteria out which causes irritation. Also, if your dog has long droopy ears such as a cocker spaniel, you should look for dirt under them weekly, and remove any dirt using a cotton ball moistened with water mineral oil. Great behavior should be rewarded after and during the grooming process. Make sure to keep some treats handy, this will help your dog look forward to this process making it less daunting for them. Finally, whether you’re grooming your pet at home, or taking them to the groomers, it’s important that they are well hydrated and fed. Fed pets tend to behave better. It just makes sense that a hungry pet will be fussier, and less likely to cooperate during the grooming process.